The Emerald Isle of Ireland is a land that is steeped in myths, legends and magic. It is not at all surprising that Ireland is rife with ghosts and other paranormal entities! 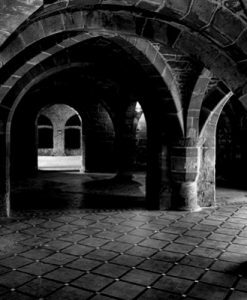 Here are some of the most haunted places in Ireland where you will encounter restless souls, inhuman entities and maybe even Satan himself! Malahide Castle is set in 250 acres of land in Dublin. It was once a fortress and has also served as a private home for over 800 years. 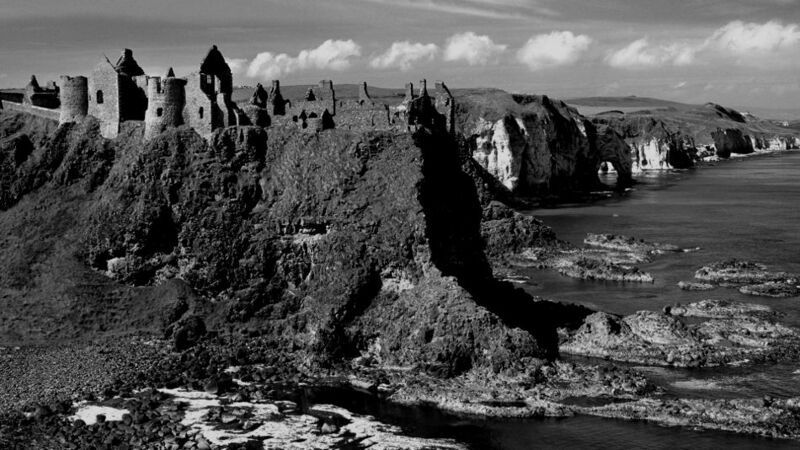 It attracts many tourist because of the interesting mix of architectural styles that are on display, but also because it is home to several of Ireland’s ghosts! There are many unseen spirits around the castle, but the ‘official’ count sits at a minimum of five resident ghosts. 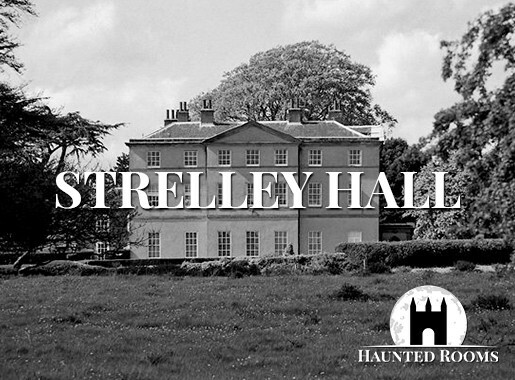 The most well known is the ghostly apparition of Sir Walter Hussey, Lord Galtrim. He was killed in battle on his wedding day of all days in the 15th century and has been reported wandering the castle at night groaning in pain while clutching the spear wound in his side. He is said to have a broken heart because his intended bride married his rival almost immediately after his death! Another of the Malahide Castle ghosts that makes a regular appearance is Puck the court jester. Puck apparently fell in love with Lady Elenora Fitzgerald, a woman detained at the castle by Henry VIII for inciting rebellion. Puck was found dead one snowy night having been stabbed in the heart, still wearing his costume. It is said that prior to his death he swore to haunt the castle until such time as a master ruled the castle who had taken a bride from the common people. He also promised not to harm any male Talbot who slept in the castle. The jester’s face often shows up in photos taken in the castle. The other known ghosts include Lady Maud Plunkett who appears in her wedding gown, chasing her husband – a Lord Chief Justice – through the corridors. There is also The White Lady, a beautiful unknown woman seen in the grounds. There is also a painting of her in the castle. Finally, there is the ghost of Miles Corbet a one time owner of the castle who was hanged in the grounds. Carrickfergus Castle is located in County Antrim and has a very significant role in Irish history. The castle was first built somewhere between 1180 and 1204 by John de Courcy, Norman Lord of Ulster. Over the years it has been strengthened on numerous occasions and it is now one of Ireland’s most well preserved medieval castles. In the 18th century, the castle was used as a prison, but these days it is just a tourist hotspot! 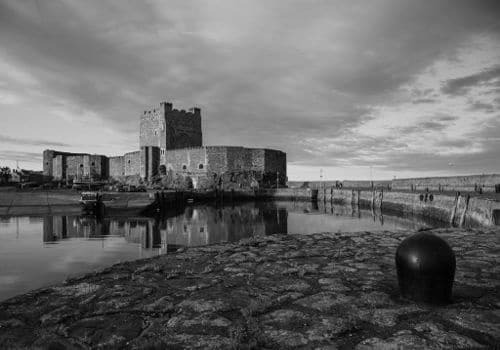 There are several different ghosts who are said to haunt Carrickfergus Castle, but one of the most well known is ‘Buttoncap’. Buttoncap is the name given to the spirit of a young soldier who would have been stationed at the castle during the 18th century. He was accused of having an affair with the wife of his Captain’s brother and was executed for it. However, he protests his innocence even to this day and can be heard wailing his protests if you listen closely. He has also been glimpsed on occasion near the castle’s well. Cork District Lunatic Asylum was built in 1798 by William Suanders Hallaran. 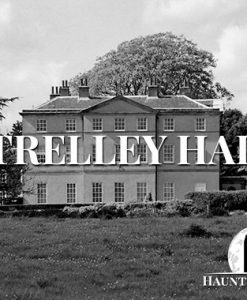 He is best known for penning Ireland’s first book on Psychiatry and also for inventing the ‘Hallaran’s Chair’ – a device which spun hysterical patients at 100 revolutions per minute as a form of treatment/ therapy! The building still echoes with the tortured cries of former inmates. 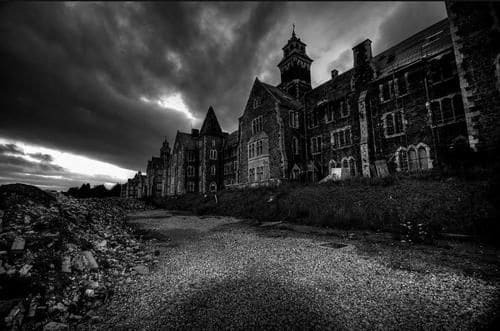 The derelict section of the old asylum is especially haunted and visiting paranormal researchers have not only seen manifestations of these trapped spirits, but have also recorded their voices via EVP. Kilmainham Gaol is not only one of the most haunted places in Ireland, but it is also the country’s largest unoccupied prison. It was in use from 1796 until 1924 when the jail closed for the final time. Visiting Kilmainham Gaol today will provide you with a vivid picture of what prison life was like here since the property remains untouched from the days of its operation. A large number of the criminals who ended up incarcerated here died on the premises. Perhaps the most notable deaths were the execution of those responsible for the Easter Rising of 1916. A total of 15 co-conspirators, including the seven named on the Proclamation of the Republic, were executed by firing squad. This included James Connolly who faced the firing squad tied to a chair due to his ankle being shattered! A plaque stands in the courtyard commemorating those who faced the firing squad there. Although the Gaol is no a museum, there are still plenty of wardens and prisoners hanging around – albeit dead ones! 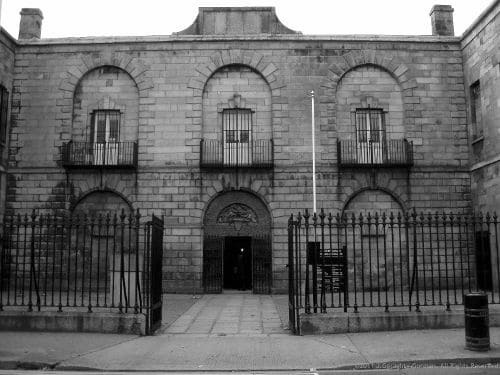 Among the ghosts and other phenomena reported at Kilmainham Gaol are unexplained bangs, disembodied voices, phantom footsteps, lights turning themselves on and off and people being pushed by unseen hands. Children often become distressed and refuse to enter the property and visitors report a feeling of being watched. Psychics who have visited the property have mentioned an evil presence confined to the chapel balcony. 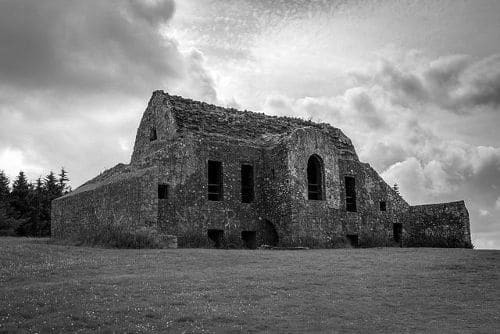 The Hell Fire Club is nestled in the Dublin Mountains. 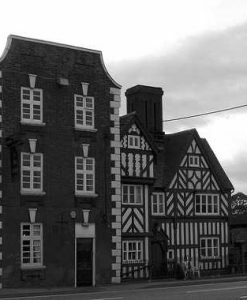 Although it now stands as a burned out shell, the old hunting lodge can be dated back to 1725. It is built on a Neolithic passage tomb and was used by Lords and noblemen for Hell Fire Club for meetings and rituals to summon demons and even Satan himself. People visiting the lodge frequently report feeling like the atmosphere is very oppressive. Some have even claimed to have seen demonic manifestations. There are also reports of a female spirit, who legend has it was a servant girl who was murdered and possibly even eaten by the members of the Hell Fire Club. Loftus Hall is a mansion located on Hook Peninsula which is said to be haunted by a very dark entity indeed. 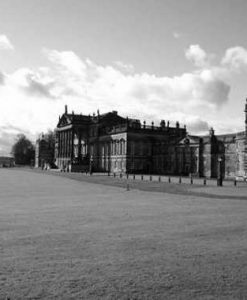 The story goes that one fateful stormy night, Sir Charles Tottenham was hosting a card game at Loftus Hall when a stranger knocked on the door. The man was soaked through and was seeking shelter. Tottenham ushered the stranger inside and invited him to join the game. However, one of the ladies dropped her cards during the game and as she bent to retrieve them from under the table she discovered that the stranger had blood soaked cloven hooves instead of feet. The stranger that they had invited into their midst was in fact the Devil! Upon his discover he is said to have revealed his true form to those gathered and then shot through the roof. 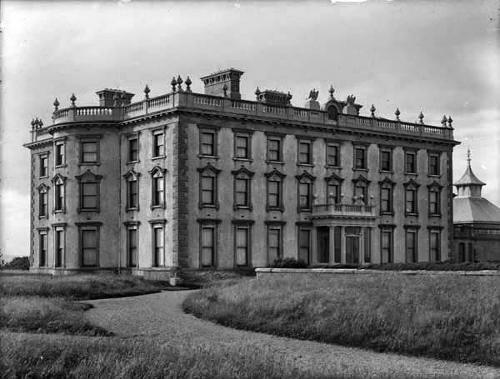 It is said that his presence can still be felt at Loftus Hall to this day and that Satan haunts the mansion. Ireland’s Leap Castle holds the distinction of being widely regarded as the most haunted castle in the entire world! Thousands of visitors flock to the castle every year, attracted not only by the stunning architecture and rich history, but also by the haunting tales linked to it! 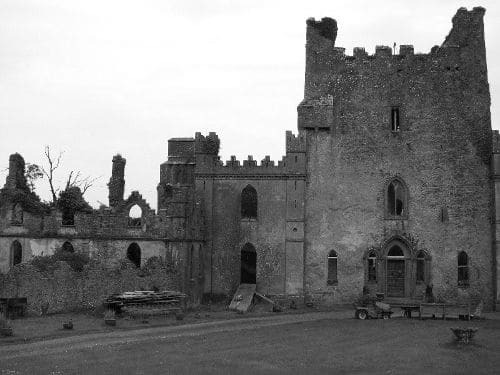 Over the years, many people were imprisoned and executed within the walls of Leap Castle, so it is little wonder that the building is reportedly so haunted! However, it is not the spirits of these prisoners who terrify visitors, but rather an entity known simply as ‘it’. This is a creature who is said to be about the size of a sheep, with a horrific decaying face. Whenever ‘it’ appears there is usually the accompanying smell of sulphur and decaying flesh. Some have suggested that this is a demon brought into the castle when former resident Mildred Darby dabbled in the occult. She is also said to have awoken an elemental in the castle. Other spirits and entities said to haunt the castle include shadows wandering the Priest’s House, a burly man pushing a barrel up the stairs, two young girls named Emily and Charlotte and The Red Lady. The Red Lady is seen around the castle holding a dagger which she raises in a somewhat menacing fashion. She is apparently the ghost of a young woman who was raped by the O’Carrolls who owned Leap Castle in the 1500s. She fell pregnant as a result and her baby was killed leading her to commit suicide. Now she is eternally seeking her revenge.